Diagnosing autism spectrum and nerodevelopmental disorder (ASD/NDD) can be difficult, since there is no medical test, like a blood test, to diagnose the disorders. Doctors look at the child’s behavior and development to make a diagnosis. ASD/NDD can sometimes be detected at 18 months or younger. By age 2, a diagnosis by an experienced professional can be considered very reliable. However, many children do not receive a final diagnosis until much older as some aspects of ASD/NDD appear as a child grows. As a parent, you know your child best. If your child is not meeting the milestones for his or her age, or if you think there could be a concern with the way your child plays, learns, speaks, acts, and moves, talk to your child’s doctor and share your concerns. Don’t wait. Curious or concerned about your child’s development? Skills such as taking a first step, smiling for the first time, and waving “bye bye” are called developmental milestones. Children reach milestones in how they play, learn, speak, act, and move (crawling, walking, etc.). The Milestones Checklist is available to help you to track your child’s development. Print it out and share it with your child’s doctor or nurse at the next visit. Well-child visits allow your doctor to have regular contact with your child and keep track of his or her health and development. Your doctor might ask you some questions or talk and play with your child during an examination to see how he or she plays, learns, speaks, behaves, and moves. A delay in any of these areas could be a sign of a problem which may or may not be ASD/NDD. By doing this your doctor is performing a developmental screening, a short test, to tell if a child is learning basic skills when he or she should, or if there are delays. Developmental screening can also be done by other professionals in health care, community, or school settings. 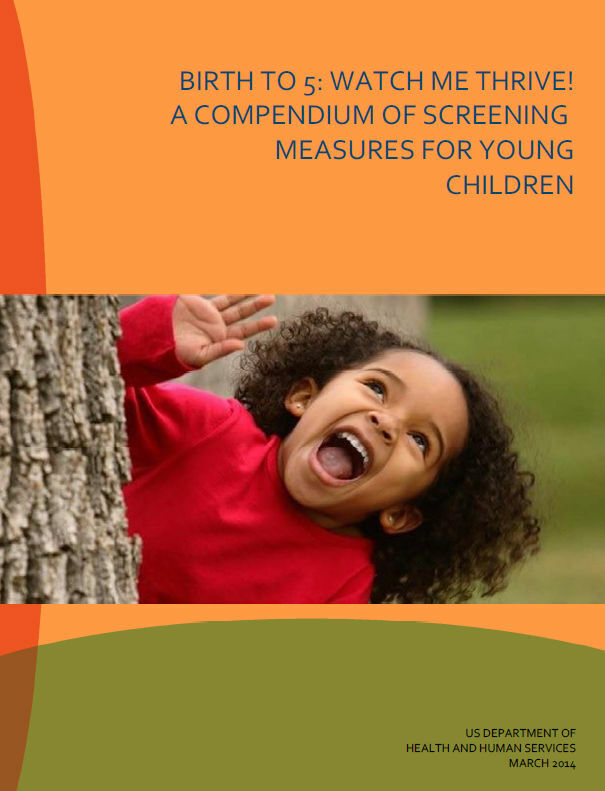 The American Academy of Pediatrics recommends that children be screened for general development at 9, 18, and 24 or 30 months and for autism at 18 and 24 months or whenever a parent or provider has a concern. Ask your child’s doctor about your child’s developmental screening. ♦ Information about children’s health and development. ♦ Tips on how to help children grow and learn. ♦ Timely connections to appropriate services, supports, and resources when needed. ♥ Be sure to copy the results and share the completed questionnaire and results with your child’s doctor. ♦ Developmental Pediatricians/Developmental Clinics. These doctors/professionals have special training in child development and children with special needs. ♦ Child neurologists. These doctors work on the brain, spine, and nerves. ♦ Child psychologists or psychiatrists. These doctors know about the human mind. When you ask the doctor for a referral to a specialist, you should also call NH’s Family Centered Early Supports and Services (FCESS), the public early childhood system, to request a free evaluation to find out if your child qualifies for intervention services. You do not need to wait for a doctor’s referral or a medical diagnosis to make this call. ♦ Children 3 Years Old or Older: If your child is 3 years old or older, contact your local public school system. Even if your child is not old enough for kindergarten or enrolled in a public school, call your local elementary school and ask to speak with someone who can help you have your child evaluated. This is referred to as ‘Child Find‘. NH Child Development Clinics – Child Development Clinics (0-6 yrs) provide comprehensive diagnostic evaluations to assist families who have children with developmental and behavioral differences in making informed decisions regarding medical, developmental, and educational needs.The team consist of a Intake Coordinator, Clinic Coordinator, Developmental Pediatrician and Child Psychologist/Developmental Specialist. What to Say… Here are tips if you’re not sure what to say when you talk with your child’s doctor or when you call to request an evaluation. While You Wait: Unfortunately, families may have to wait many weeks before they are able to get an appointment to see a specialist or start intervention services for their child’s developmental problem. This can be a frustrating time for parents who want answers and help now. If you find yourself in this situation, know that there are some simple things you can do today and every day to help your child’s development. Make the most of playtime. Interact with your child as much as possible. Read books, sing songs, play with toys, make crafts, do household chores, and play outside together. Talk to your child: label items, point out interesting things, tell stories, comment about what you see and how you feel, and explain how things work and why things happen. Your child may not always seem to be listening, but he or she may be hearing more than you think. "Learn the Signs. Act Early." Learn how to look for developmental milestones in your young child and what to do if you have a concern about your child's development. Milestones matter! Track your child’s milestones from age 2 months to 5 years with CDC’s FREE Milestone Tracker app. Interactive checklists with photos and videos make tracking milestones easy and fun. The app generates a personalized summary to share, offers tips for encouraging development, and information about what to do if parents ever become concerned about their child’s development. For more information about developmental screening and the tools commonly used, upload Birth To 5: Watch Me Thrive! A Compendium of Screening Measures for Young Children - This handbook identifies standardized, validated developmental screening tools. The American Speech-Language-Hearing Association has an excellent clinical overview of signs and symptoms, assessment, roles and responsibility as well as treatment strategies. ♥ For NH resources pertaining to Child Development click here.